CEO Sundar Pichai came out first to set the stage, touting the company’s advances in artificial intelligence. Google’s research has yielded improved image recognition, speech synthesis and translation capabilities — and Go skills, though those are less useful in the average home. The specs are flagship-level, with a 12.3-megapixel camera that scored higher than even the mighty iPhone 7 in DxOMark’s labs. “No unsightly camera bump” either, teased hardware head Rick Osterloh. A new camera app means microscopic shutter lag, intelligent HDR photos and anyone buying a Pixel gets unlimited storage of full-resolution images in the Cloud. 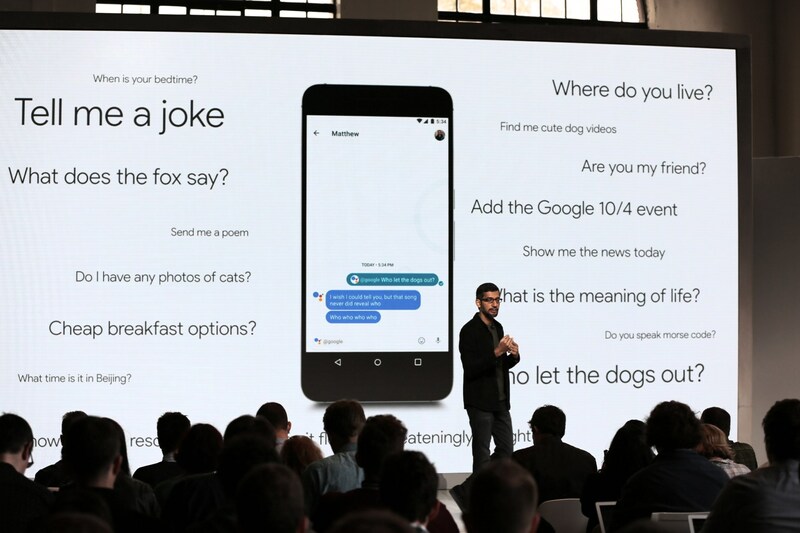 Google also demonstrated its Assistant, the AI that will soon live on all its devices — and perhaps others, as well. It’s meant to be a powerful and relatively open system that can be used not just as an “OK Google” thing, but as a chatbot, in connected speakers, TVs and so on. The vision is Google Assistant anywhere, whenever you need it, for whatever you need at that moment. The Pixel phones also fit into another area Google is excited about: VR. VP of VR Clay Bavor came out to show off the new Daydream View headset, which uses the new devices (or other compatible ones) as its display — you just slot them in and it takes care of the syncing, orientation and so on. The headset is made of a “cozy” microfiber material; “We weren’t inspired by gadgets, but by stuff people actually wear,” Bavor said. It comes in three colors. But is it washable? There’s also a compact VR controller with motion sensors and a clickable trackpad. Demos of a Harry Potter game (a timely “Fantastic Beasts” tie-in, naturally), a space shooter and some video apps put Daydream through its paces. You’ll be able to buy the Daydream View in November for $79. 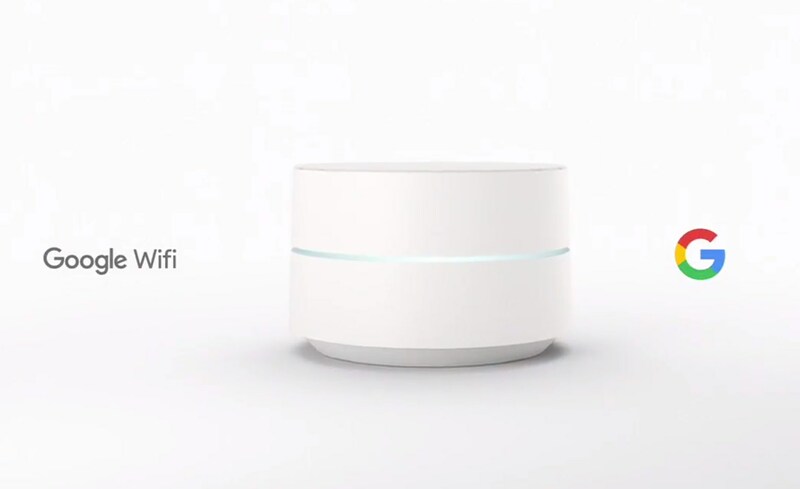 Switching gears to the home, Google Wifi was next to be introduced. Much like the Eero, it’s a puck-shaped router that you buy a few of, scatter throughout your house and enjoy perfect wireless signal forever after as they intelligently switch your signal up. These things cost $129 each or $299 for a three-pack. 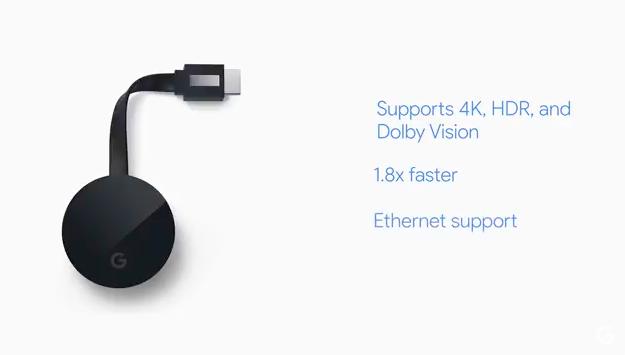 Chromecast got a minor update: the Ultra adds 4K, HDR image and Dolby Vision — all of which should mean something to you if you’re a TV or movie buff. The new device also has an Ethernet port built into the power brick, if you can believe it, so you can hardwire it — $69 in November. 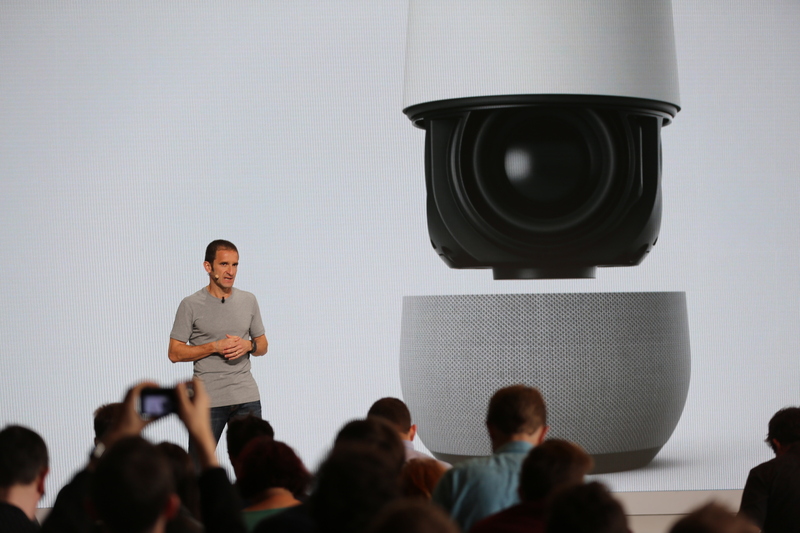 Google Home, which was teased back at I/O, got an official price and ship date: $129 and November 4. The Home is very much an answer to Amazon’s popular Echo, and many of the use cases demonstrated on stage are common between the two: asking for recipes, playing a specific song or album, getting a summary of your day in the morning and so on. One nice addition is Google’s knowledge graph, which fetches info for lots of factual queries — who was the first person in space, what’s the biggest breed of cat, etc. The Home has a nice little speaker set built in, comes with 6 months of YouTube Red and hooks in with your Internet of Things, should you have one. Nest, Samsung SmartThings, Philips Hue and IFTTT are the only partners so far, but more are coming. Naturally, it works with Chromecast and can interact with your phone.